Ever wondered about the large family vacation? You should take a look at Van rental comparison online. The chaos that will kick in right from getting everyone packed to getting everyone seated in different cars…Phew!!! 7, 9 or 12 seats: renting a van online will give you the freedom to chose the best option the rental market can offer. Travelling with a large troop is now relatively easier and hassle free. Car rentals give the option of Vans on hire which can accommodate a large size of passengers. You can have the option of self drive or you can choose to sit back and relax with rest of your family and enjoy the journey. Whether it is going to a family get together, a party, lunch, dinner or travelling on weekends to another city or state, rental vans offer the experience of togetherness. No more getting lost or waiting for the other cars to come, all can travel together and have fun. Another factor to be considered is the cost. Vans are cost effective as they give more value for money. 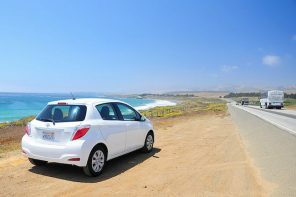 The rental amount gets divided among the passengers and hence is cost effective. 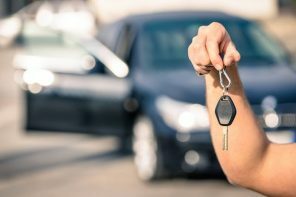 There is lot of models that car rental companies have on offer when speaking about van rental comparison. These are as follows. The Ford Transit is a 15 seater van . In online van rental comparison we think you can’t find something bigger! This is a comfortable van and provides for a smooth and easy ride. The van has most of the advanced features like Power Steering , cruise control etc. This is an extremely good option for a group of 15 pax if travelling within the city from one destination to another or if hired for a longer journey it is useful for 10 pax plus luggage. It comes with ABS brake technology, power windows and air conditioning. It is an automatic transmission vehicle which makes riding enjoyable. It comes fitted with the standard safety norms like air bags and child locking system. The dodge Grand Caravan is a 7 seater passenger van. It is suitable for a smaller family. Sophisticated and elegant looks are the USP of this vehicle. It comes fitted with advanced navigation system and technological marvels. It is considered as a good option for 7 passengers travelling within the city limits and for 4 passengers with luggage if travelling to another city or state. It is an automatic transmission system and comes with Tilt steering wheel, power windows and air conditioning. Safety measures like airbags, ABS brakes and child locking system is in place. The Toyota Sienna is a 8 passenger minivan. It can seat 8 passengers comfortably and can take 4 passengers plus luggage when going to a far off destination or city. This van has automatic transmission for a smooth ride and has AM/FM stereo and radio for entertainment purposes. It has the safety norms like airbags and child locking system. It has a good ground clearance and is known to be fuel efficient giving a good mileage. This is another variant of the Ford Transit series which can seat upto 12 passengers comfortably. When luggage is involved around 7 passengers with luggage can be easily accommodated in the van. It has a power steering and automatic transmission for better rides. It has air conditioning and ABS braking system. The ticks the usual safety norm boxes like airbags and child lock systems, a child seat can be easily fitted into it. This van has a choice of additional options to the clients. It has good fuel efficiency and scores on mileage output. The Mercedes Benz sprinter is an epitome of style and comfort packed into one. The Sprinter can pack 12 passengers without luggage and can do with 7 passengers plus luggage. It comes in petrol and diesel variants and comes with automatic transmission. The sprinter puts in loads of high tech stuff to make it a unique and comfortable ride. It is fitted with a power steering and the safety features include airbags, child lock, lane departure warning, crosswind stabilization and collision prevention. It sets a very high standard in passenger comfort and car features and is a favorite in the 12 seater segment, especially when you have to make an impression. The GMC savana is a 15 seater vehicle . This is a rugged looking model and very apt for off the road expeditions with family. It has no rivals in a van rental comparison if you need a vehicle good for an adventurous trip [read also how to organize a road trip!]. It can accommodate 15 passengers comfortably and around 9 plus luggage. As we said, it is a great vehicle to carry equipments for treks and short hikes. It comes in diesel and petrol variants and has a smooth transmission. It has good fuel efficiency and comes packed with the standard safety features and norms. The Chevrolet Express is a passenger van accommodating 12 and 15 people. It’s a good alternative in van rental comparison, if you don’t find the Ford Transit Wagon, for example. The extended wheelbase can accommodate 15 pax. It can take around 10 passengers with luggage. It’s a comfortable van for any occasion, be it attending a gathering or taking off on a mini holiday with your loved ones. The Chevrolet express is fully Air conditioned and offers a smooth riding/driving experience. Power windows and door lock are some of the features besides safety norms like airbags and ABS braking systems. Chevrolet Suburban is an 8 seater passenger van great for classic rental needs. It can comfortably take 5 passengers with luggage. It has a 6 speed automatic transmission to give a glitch free ride to the passengers. It has a power steering and ABS braking system. The interiors are designed to provide comfort to the passengers. Best suited for weekend trips and short vacations with families. It comes fitted with the standard safety procedure of airbags and child lock system. The Honda Pilot is a 8 passenger accommodating vehicle model. It comes with a stylish design and is best suited for families looking for a weekend adventure. It has a 5 speed auto transmission making it a hassle free vehicle to ride. It is fuel efficient and provides for a wonderful riding experience. The car comes packed with all the modern technologies and is a beast on the road. The car comes with a lot of safety features like ABS braking, air bags, child lock, lane departure warning, pedestrian crossing warning etc. The Toyota Highlander can accommodate upto 8 passengers and 5 passengers with luggage. The highlander comes in different variants and the passengers can choose the ones they want from the catalogue of the rental company. The Toyota highlander is designed as a SUV passenger van and is not available easily as a rental option in companies, you don’t find it easily in online van rental comparison. Nevertheless, it’s a stylish vehicle that leaves an impression wherever you take it. Small families of about 5-6 passengers can easily fit in and take off on the vacation that just refreshes you. The Toyota Highlander is a powerful performer and gives an excellent mileage. The fuel efficiency is also rates as among the best. It comes fitted with all the modern amenities and is fitted with safety features like airbags, child lock, ABS braking etc. 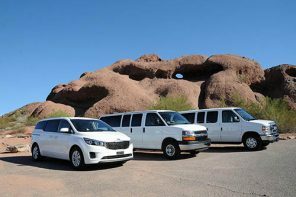 On the off chance that you are a family or going in a gathering of four or more, a rental van can spare you significantly. Evade high taxi and transport costs without anyone else driving with a multi-seat van that rents at comparative costs to a vehicle. Vans can normally suit 8 travelers, yet bigger variants are accessible with up-to 15 seats. Bunch travel is frequently fun and in the event that you have an expansive family then leasing a van gives you extreme adaptability for visiting, eating, and going to family or even business capacities. The expense of an exchange for your gathering can be over a few days cost contracting these vans, it’s clearly an easy decision choice. Other than they frequently now accompany DVD and media offices, and in addition GPS units with the goal that you needn’t fear exploring your way around. Vans serve you well for day trip excursions or even crosscountry outings, for example, famous courses like the Paris to Venice pioneer, or from London to Edinburgh. Renting a van is a good option more so, when you have enough members so that it becomes cost efficient and makes the journey even more enjoyable.